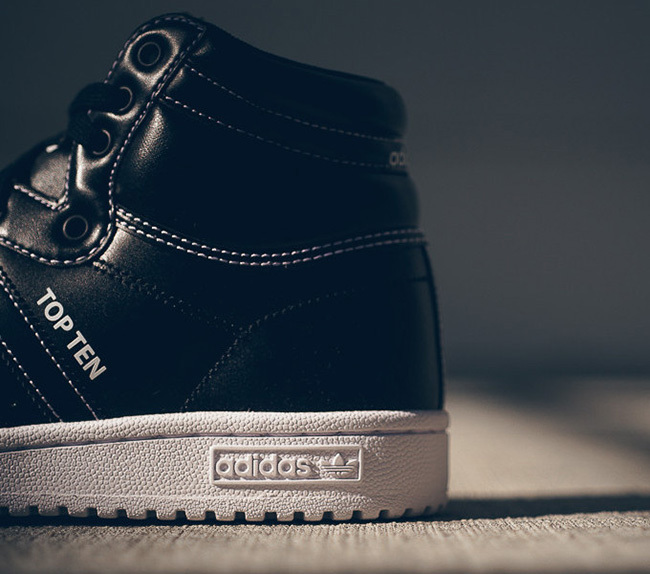 Here and there, adidas Originals brings out a new pair of the Top Ten Hi. 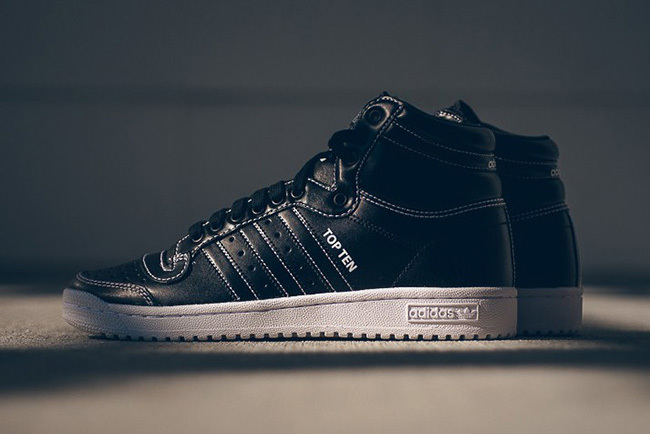 The last couple of releases have launched in two tone mashups and the latest continues the theme which is the adidas Originals Top Ten Hi ‘Black’. 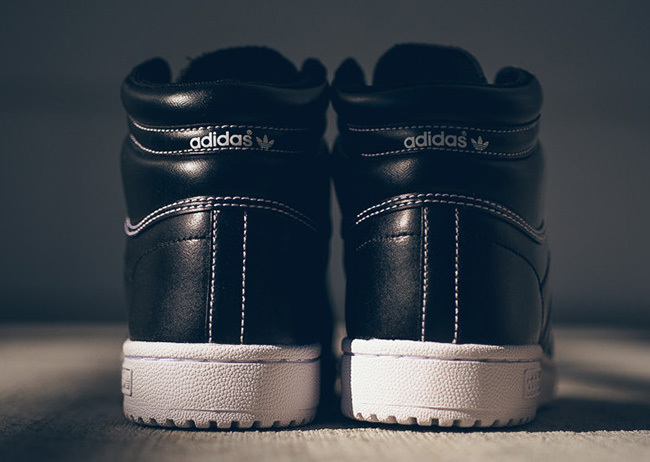 Constructed with black leather through the base which covers the paneling and tongue. 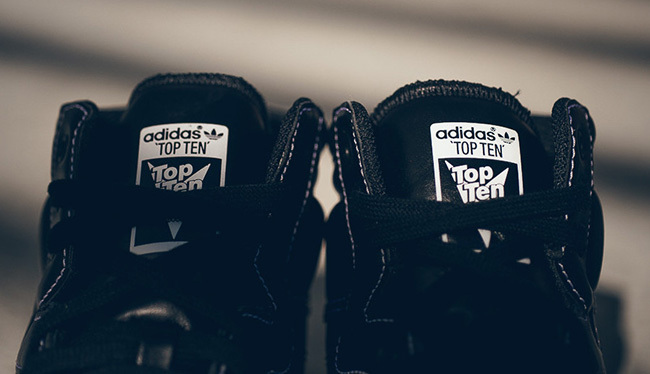 Following are hints of white that cover the stitching adidas branding on the heel and Top Ten on the tongue. 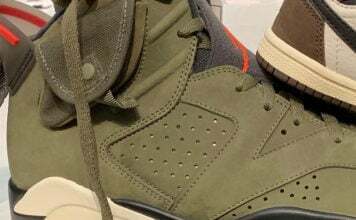 The last touch is an off-white rubber midsole. 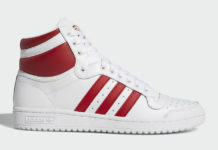 Overall, a clean look while maintaining a premium look and touching on the original release. 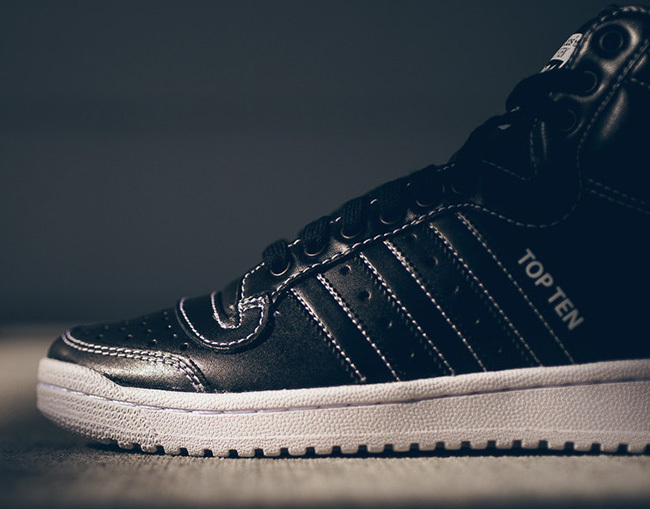 The ‘Black’ adidas Top Ten Hi is now available at adidas retailers with the first location to pop up at is Sneaker Politics. 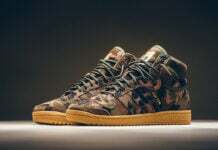 Retail price is set at $90 and you can get a better look by scrolling below.